Thank you so much for adopting a cat! Adopting a cat means you will be sponsoring a cat with a monthly fee. Your generous support will ensure that your cat will always be cared for and receive medical attention whenever needed. 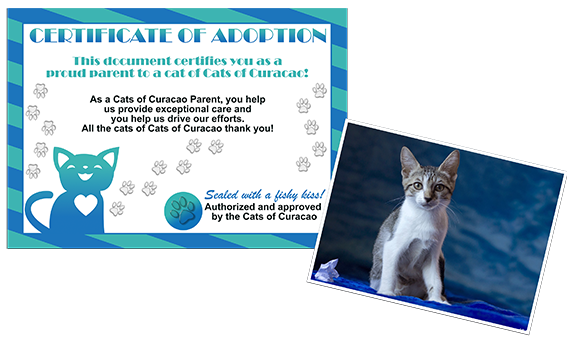 Yes, I would like to adopt a cat from Cats of Curacao!